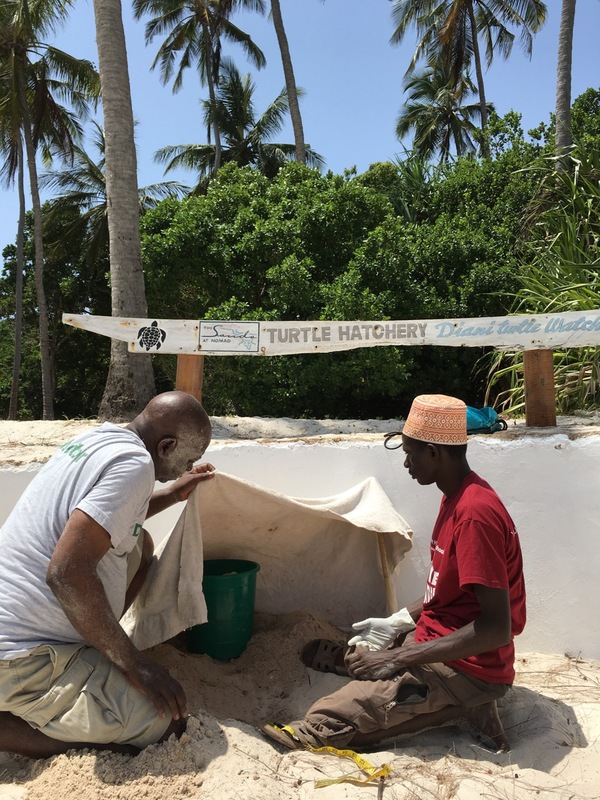 Another project that began in May 2017 was the creation of a Sea Turtle Hatchery on the beach at The Sands at Nomad hotel. This project was started after a request was received from The Diani Turtle Watch organization who were trying to find locations where nests needing translocation could be moved to. There are seven different species of Sea turtle found worldwide, all of them have been classified as 'threatened' by conservation organizations. 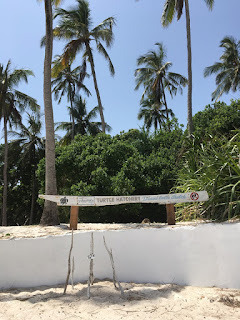 Some reasons why populations have fallen so far in the past decades would be the loss of marine habitat, death by drowning in fishing nets, over consumption by humans, death through ingesting plastic waste in the oceans and loss of safe and secure nesting sites. These are all human caused. Sea Turtles are supposed to live as long as humans but populations have fallen. It's time more was done, but not just for the Sea Turtles we share the ocean with, but more should be done by us to lower our environmental impact as much as is possible. 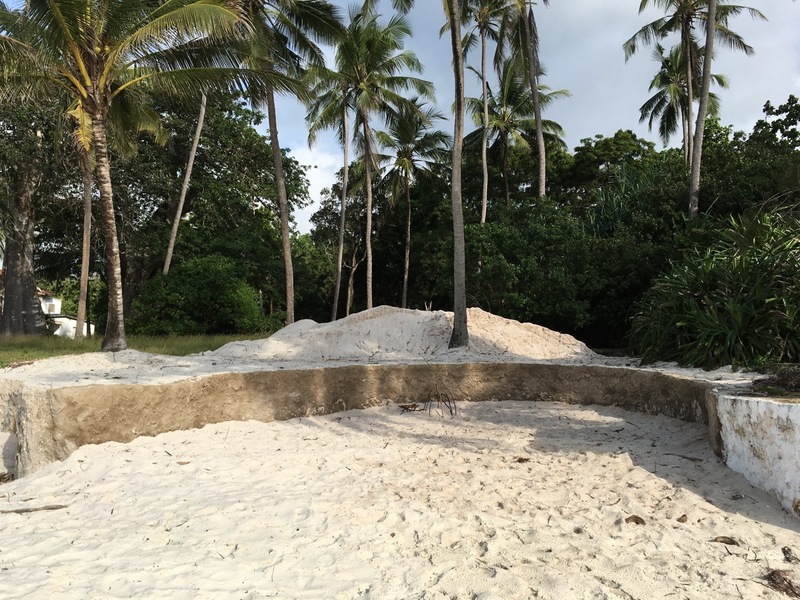 In May 2017 a section of The Sand's at Nomad's beach wall was removed and rebuilt leaving space for a hatchery able to hold around 15 Sea Turtle nests. By the end of May the hatchery was ready and none too soon. Within 24 hours Diani Turtle Watch had tranlocated the first nest from a bad location where the hatchlings would not survive to the hatchery. 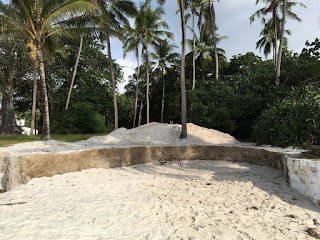 Two days later a Green Turtle found the hatchery on her own and laid another nest. By the end of the laying season the hatchery here at The Sands had 10 sea turtle nests all with over 100 eggs! As you can imagine when the hatching's started from July, August and into September it was one of the highlights of the year. In 2017 the hatchery at The Sands provided safety and security for over 1000 hatchlings which all made it to the ocean past the gauntlet of opportunistic ghost crabs and birds. Sadly the majority of these hatchlings will not make it to adulthood as they brave the ocean and the effects of humanities consuming nature. Maybe one, two or ten will make it, either way it's more than would have before.